Christmas season is officially over in our household. 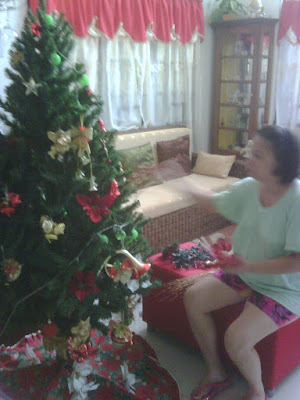 Mama brought down the Tree and all its glittering blings. I wonder where she will hide the over-the-top belen showcase she bought because thats going to need storage space for sure. She then asked me what would be our next decor motif. I was like "Haller?!! You know I don't know anything about design harmony and matching abobots!" Mom just rolled her eyes probably wondering how I was her daughter when we are so different in a thousand ways.